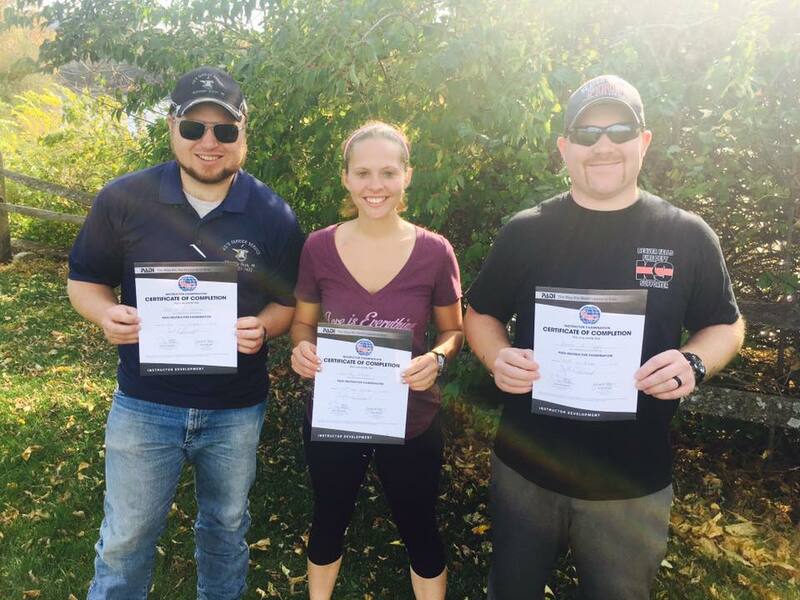 Continue Your Diving Education with Advanced Certifications and Specialties! Already a PADI Open Water Scuba Diver? Ready to advance your skills and/or knowledge? Quench your thirst for adventure and experience with Con-ed. Scott's Scuba Service offers all certification levels from Advanced Open Water all the way through PADI professional levels such as Divemaster. 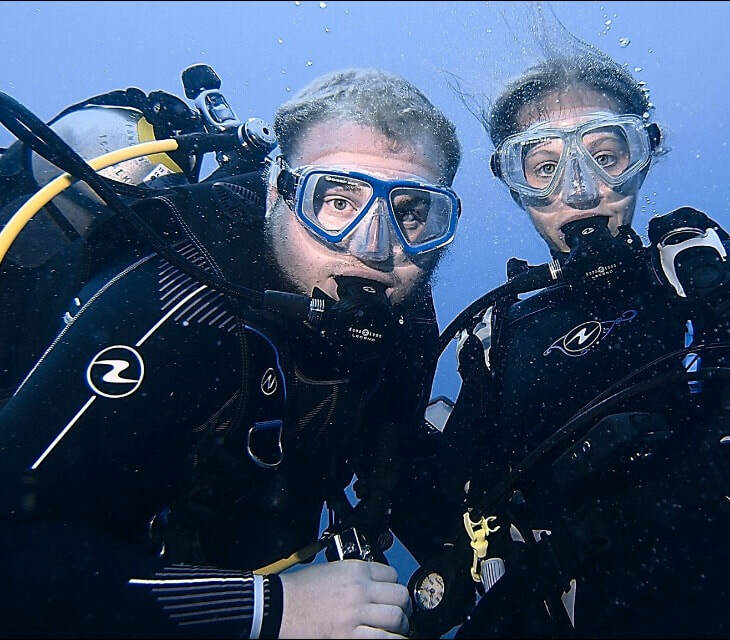 We also are able to certify you in almost any PADI specialty. Check out below for course descriptions and dates. If there is a specific class/course you would like to take, but don't see a scheduled date for it, be sure to give us a call or email us, we will get one scheduled for you! Where Should I Start After I Complete My Open Water Course? If you are a PADI Open Water Scuba Diver craving more but, like many divers, don't know what to take next? Let us help you. Below we outlined some of the most common courses taken after your Open Water Course. If your looking for start dates of when these courses are offered, keep scrolling, we have all the upcoming classes listed below. Remember that if you don't see what you are looking for, ASK! Further your dive knowledge with the Advanced Open Water Certification. The Advanced Open Water Certification allows you to dive deeper, learn underwater navigation skills, perfect your buoyancy, and so much more. Certification requires 5 adventure dives. Underwater Navigation and Deep Dive are required but the other three you get to chose! You take this course at your own pace. It can take as little as a few weeks, or longer than a year, or you can sign up for a full weekend course and be finished in two days!. Throughout the summer we have many adventure dive options, all you have to do is sign up for one and begin! 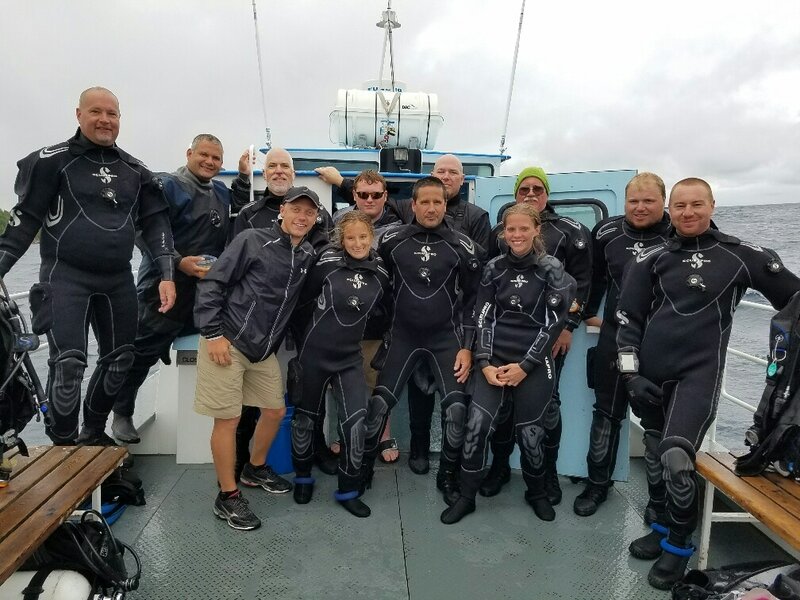 ​Joining us for a weekend at Dutch also provides the opportunities to take specialty courses such as Night Diver, wreck diver, Deep Diver, Peak Performance Buoyancy, Underwater Navigator and more! Taking Specialty courses is some divers favorite type of con-ed because they focus entirely on your personal favorite area of interest. Like taking photos? Try Under Water Digital Photographer. Think you might like seeing what life there is at night? Try the Night Diver course! Some specialty courses can be taken right after your Open Water course, while other you need the Advanced Open water as a prerequisite. Check out the PADI "ladder" above to see a full list of courses. Scott's Scuba can offer almost all of them! We try to schedule multiple options each month during our season. 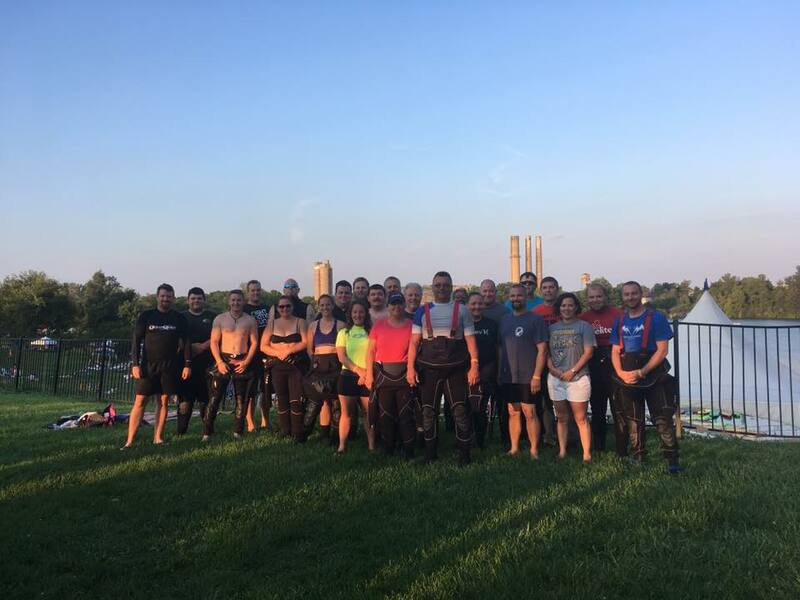 The path starts with earning a Open Water Diver certification, followed by Advanced Open Water Diver and Rescue Diver (or qualifying certifications). You also need to earn five Specialty Diver certifications and have logged a minimum of 50 dives. 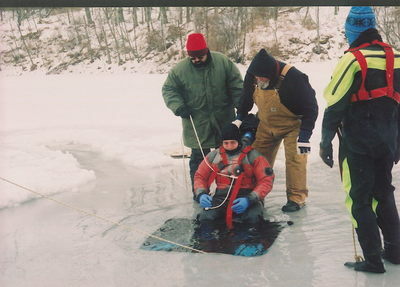 This will be a two day course held July 20-21 in Lake Erie. Price of course and more details will be announced soon. We ARE taking sign ups now. Call or email to register. Join Us in Florida for your CAVERN DIVER Certification! The only special equipment you need to take this course is 2 steel tanks (rental available) 2 lights, and a line reel (details on this during the classroom portion). Regular recreational Scuba gear is acceptable for Cavern. Florida diving offers crystal clear water at 72* year round. With warm topside weather as well! This course will develop yours skills and ability more than any other. Cost is $495 per person. Class size is extremely limited. We can only take 6 students so please let us know as soon as possible if you want to join us! Please stop in, call, or email the store to sign up! Conrad Pfeifer will be joining us on this trip and will offer a Basic or Intro to Cave course. He can have a MAX of 3 students. You must be already certified at the Cavern Level. If you would like more information on this level please call, email or stop into the store. Dry Suits allow you to dive more challenging dive sites and extend your dive season. 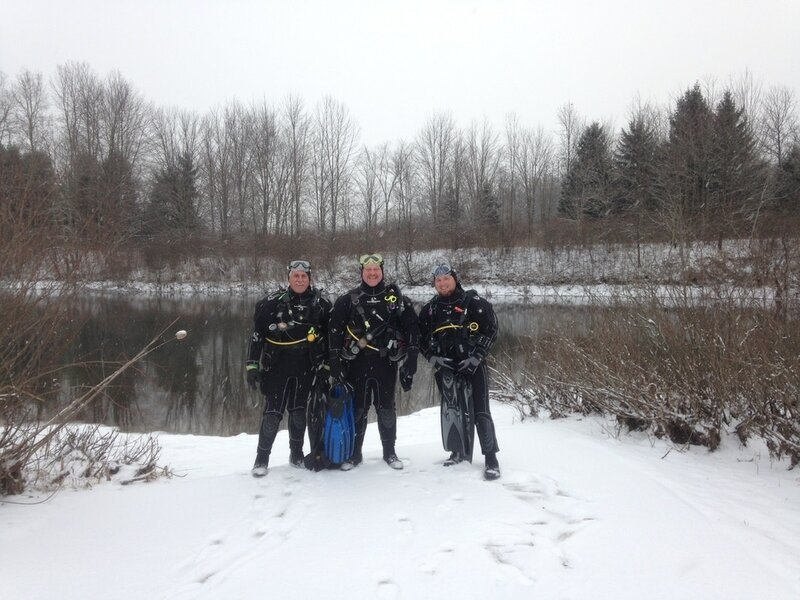 When you have the right cold water scuba diving attire, you can stand up to the elements and take advantage of the generally better visibility offered by winter months. As a dry suit diver you are equipped to scuba dive some of the world’s incredible dive sites in the world’s cooler regions that are best enjoyed in a dry suit even in their warmer months. This course involves learning the basics of your suit as well as how to properly get in and out of it. Also included is guided practice dives in your suit so you can learn the ins and outs of diving it! $175 with rental drysuit or $50 with purchase of dry suit from Scott's Scuba Service before the class. We offer this class year round. Click on the link below to begin the PADI eLearning online course! You complete the online work at your own pace and schedule! Once you finish the eLearning just give us a call and we can schedule you to finish your certification. There are only a few skills you need to complete with an instructor so it takes very little time in the classroom. Scuba divers describe the PADI Rescue Diver course as the most challenging, yet most rewarding course they've taken. Why? Because you learn to prevent and manage problems in the water, and become more confident in your skills as a diver, knowing that you can help others if needed. During the course, you learn to become a better buddy by practicing problem solving skills until they become second nature. Plus, the course is just fun-it's serious, but still allows for lots of laughter in between the focused learning. Call or email the store to sign up! This is a two day course. Times will be finalized closer to the course start, however in the past class has run 8-1 approx. 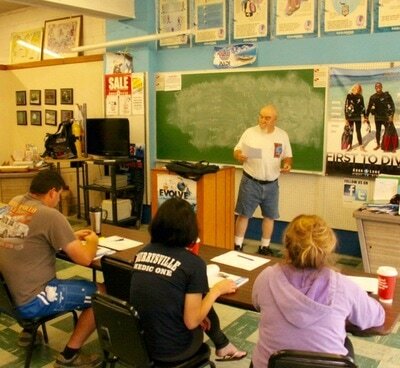 We are having a no-obligation Divemaster intro night on Wednesday March 6th at 6:00PM. We will provide you with all course requirements, prices, and information. There is no cost to attend the intro night. And you can decided during or after the intro if you want to begin your journey towards becoming a PADI Divemaster. The first regular class session will be announced at the orientation. These are all courses offered at Scott's Scuba Service. Most are offered (usually multiple times) throughout the summer. Some are scheduled as per requested. Dates will be announced for upcoming classes as scheduled. If you have any questions or a desire to take one and you do not see it scheduled, please call the store. Scott's Scuba Service is a PADI 5 Star Instructor Development Center. That means we can certify students all the way through Open Water Instructor. This spring we will be starting a Divemaster Course! If you are interested in becoming a PADI Professional let us know and we can send you updates on the class. Or just check back here!